Southeast Asia is bucking the global trend of falling direct foreign investment, as the low-cost fast-growing region solidifies its position as an attractive location for multinationals. The Asian Development Bank (ADB) has invested 20 million U.S. dollars in AC Energy’s maiden climate bond issuance, the Manila-based bank said on Monday. 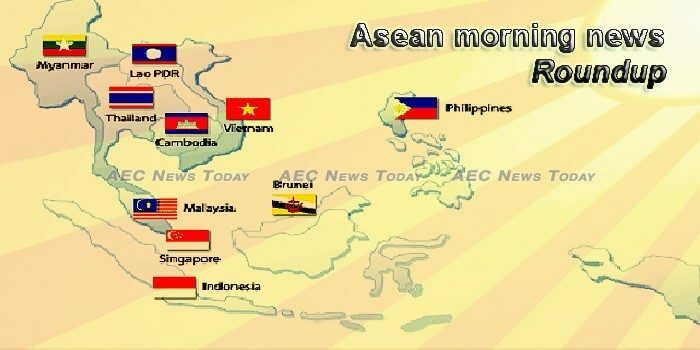 In the first quarter of 2019, the next round of negotiations between China and ASEAN on the Code of Conduct (COC) on South China Sea is expected to be finalised. PRIME MINISTER Prayut Chan-o-Cha yesterday launched “Asean Cultural Year 2019” at Government House, as Thailand takes its turn chairing the 10-member regional grouping. The terrorist group Islamic State of Iraq and Syria (IS) is today a shadow of its once-formidable self in the Middle East, with its army in tatters and its territories reduced to a sliver of turf. China’s Belt and Road: Environment’s Enemy? To all of the other problems that have cropped up recently with China’s massive multi-trillion-dollar Belt and Road Initiative development scheme, add one more: the possibility of global environmental damage, according to a new 88-page policy research working paper released recently by the World Bank. Southeast Asian businesses experiencing trade problems when exporting their goods or services, or when investing into other countries in the region, can utilize a mechanism for addressing such problems. Malaysia has faster and more consistently available mobile networks than Thailand, the Philippines, and Indonesia, a report by mobile quality measurement company Tutela has said. IN recent years, Southeast Asia has seen a surge in demand for a skilled workforce able to fill looming gaps in industries dependent on new and emerging technologies. The Philippine manufacturing sector outperformed those in ASEAN despite registering a slower expansion in January, according to the latest Nikkei ASEAN Manufacturing Purchasing Managers’ Index (PMI). Where Is the New ASEAN ‘Our Eyes’ Intelligence Initiative Headed? Late last month, Southeast Asian states held a working group meeting to discuss the status of a new intelligence-sharing initiative to help them respond more quickly and effectively to transnational security threats. The meeting spotlighted the effort amid the broader context of regional responses to terrorism and radicalism in Southeast Asia and the Asia-Pacific more generally. Despite all the pleasantries in Washington, DC surrounding the latest US-China trade talks over the past week, the rivalry between the world’s two largest economies will not subside anytime soon. The first edition of ASEAN Chamber of Commerce and Industry Business Meet 2019 will be held here from February 25 to 27, Karnataka Minister for large and medium scale industries K J George said Monday. A surge in air travel has yet to pay off for Southeast Asian airlines, with experts predicting that 2019 will see more fierce competition as regional carriers struggle to return to profitability. Lazada’s plans to ramp up expansion in Southeast Asia might spell trouble for the region’s traditional retailers. With brick-and-mortar retailers reporting decreased revenues as a result of the e-commerce boom, the decline of traditional retailers might just be on the horizon. Unicorns of Southeast Asia – Whither next? Southeast Asia’s unicorns raised nearly $8 billion in funding in 2018, on the back of mega funding rounds raised by Grab ($3 billion), Lazada ($2 billion), Go-Jek ($1.5 billion) and Tokopedia ($1.1 billion). Chief Minister N Biren Singh has urged domestic and foreign investors to come and invest in Manipur and assured that the State will make all possible efforts for safe and productive investments in the State. One month in, the year kicked off with a flurry of activity and a particularly busy few weeks for the Vietnamese startup ecosystem. The Intergovernmental Panel on Climate Change (IPCC) projected that global warming is likely to reach 1.5 degrees Celsius above pre-industrial levels by 2030. This year, Cambodia expects to generate in total 2,870 megawatts of electricity, especially from hydropower dams, according to the Ministry of Mines and Energy. A Prey Lang Community Network (PLCN) member in Thmea commune, in Preah Vihear province’s Chey Sen district, on Sunday claimed that authorities are unable to stamp out forest crime in the nature reserve, instances of which have been occurring for months. Air quality in Cambodia, especially in Phnom Penh, remains good, affirmed the Ministry of Environment in a news release. Manufacturing activity in Indonesia failed to show growth for the first time in a year in January, pointing to signs of stagnation in the nation’s economy, a survey showed Friday. Intellasia East Asia News With the millennials making up almost a third of Indonesia’s population, the nation’s statistics agency will soon revamp its inflation index to capture their spending habit. Indonesian bureaucrats may soon face tighter competition to reach the top rungs of the career ladder, with the government planning to allow active military officers to take up positions in ministries and government institutions. SIX MONTHS AFTER the Xe Pian-Xe Namnoi hydropower dam in southern Laos triggered floods that swept them from their homes, survivors are now suffering from dengue fever and malnutrition. On January 20, Russian tanks and armored cars drove through the streets of the Lao capital of Vientiane. The tanks were the new centrepiece of a military parade to honour the 70th anniversary of the founding of the Lao People’s Armed Forces (LPAF). Lao Airlines staff believe the number of Chinese customers could surge to 241,500 this year. After hitting a record low in December 2018, Malaysia’s manufacturing industry rose marginally in January but remains in negative territory, according to Nikkei Malaysia’s Purchasing Manager Index (PMI). CAPA publishes more than 400 global News Briefs every weekday, covering all aspects of the aviation and travel industry. Foreign funds snapped up RM146.8 million net of local equities during the holiday-shortened week for the week ended February 1, resuming their entry into Bursa Malaysia for the fourth consecutive week. The Myanmar Investment Commission (MIC) meeting (2 / 2019) was convened at the meeting room of MIC in Yangon on 4 February 2019. From October 1 to January 25 of this fiscal year, the export earnings from industrial finished products hit 4,636.771 million USD, up 418.388 million compared with the same period last year, according to the figures from the Ministry of Commerce. The Philippines manufacturing sector saw a moderate improvement in business conditions in January, according to the survey. A bicameral conference committee on Monday agreed to remove all fund insertions for flood control and drainage projects in the proposed P3.7 trillion 2019 General Appropriations Bill (GAB) to expedite the crafting of the national budget for this year. Amid an ongoing cleanup of Manila Bay and proposals to halt to reclamation projects there, President Rodrigo Duterte transferred the power to approve reclamation projects from the National Economic Development Authority (NEDA) to the Philippine Reclamation Authority (PRA), which he placed under his office in Malacañang. BUSINESS interruption has re-emerged as the top business risk in Singapore this year, with companies increasingly concerned about more diverse and complex business interruption scenarios coupled with rising costs, a recent report by German insurer Allianz has found. Eight militants were killed in air, artillery, and ground operations in Maguindanao in the southern Philippines on Saturday, February 2. Amid factory activity slowing across much of Asia last month, Singapore saw a key manufacturing indicator falling to its weakest in two years. Australia’s highest ranking diplomat in Thailand has called for the country’s prime minister to immediately intervene in the detention and trial of Australian-based Bahraini refugee footballer Hakeem al-Araibi and “allow him to return to Australia”. BANGKOK — Since its inception earlier this year, the Pheu Chart Party has been seen as a clone of Pheu Thai, the political powerhouse associated with former leader Thaksin Shinawatra. Vietnam Textile and Apparel Association (VITAS) set the industry development target this year for export turnover at US$40 billion, which would mark a 10.8 per cent year-on-year increase. Softer rates continued for growth in the Vietnamese manufacturing sector in January, with weaker rises in output, new orders and employment, according to a survey. Authorities in Vietnam have arrested a Facebook user after questioning her ties to accounts run by members of two organizations targeted by authorities, according to her husband, amid a wider crackdown on critical content posted on the social media network.